When the new 2012 BMW 1 Series Hatchback was revealed in June, we sat down and created a photo comparison against its predecessor. 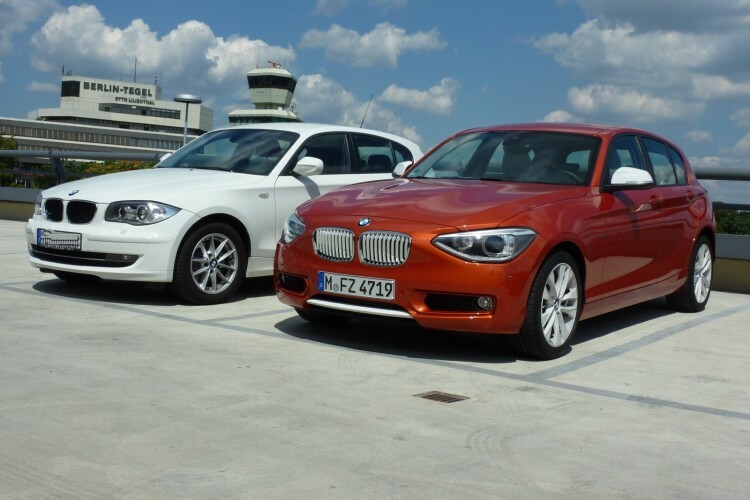 The comparison focused solely on the design aspect and used official photos from BMW. At the Berlin press launch of the new 1er, we had the opportunity to observe the two vehicles from up-close and capture them side-by-side. Styling wise, the F20 1 Series follows the design language initiated by BMW back in 2009 when the new 7 Series came to market. The car features a bold front that aims to stand out with what we believe are a pair of oversized headlights surrounding a flat and smaller than expected kidney grille. 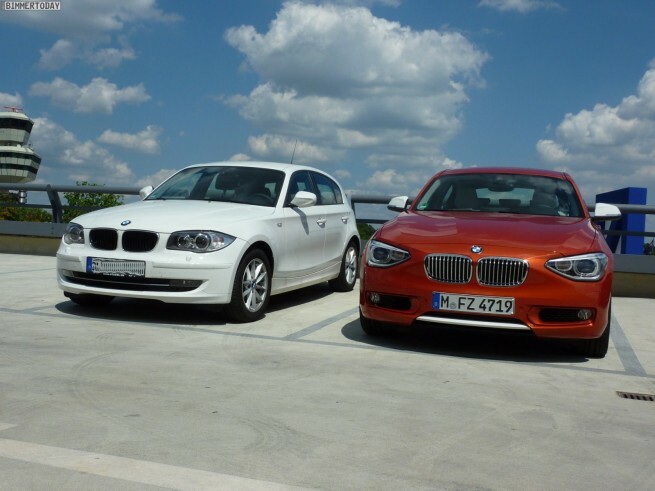 The hood sports the creases seen on all the new BMWs and facelifted models. From the side, the usual character line flows from the rear to the front end, and on its way it creates a series of convex and concave shapes. In the back, the taillights feature integrated LED with the usual L-shape. The car continues to feature a similar hatch-look as the previous generation with a lower positioned trunk and a a more emphasized trunk-lid. With seven years under its belt, the previous generation E87 1 Series looks slightly outdated. The softer lines and less aggressive look is easily observed from all angles. As we mentioned before, the new F20 1 Series is considered an evolutionary model, and major changes are expected in the third generation. 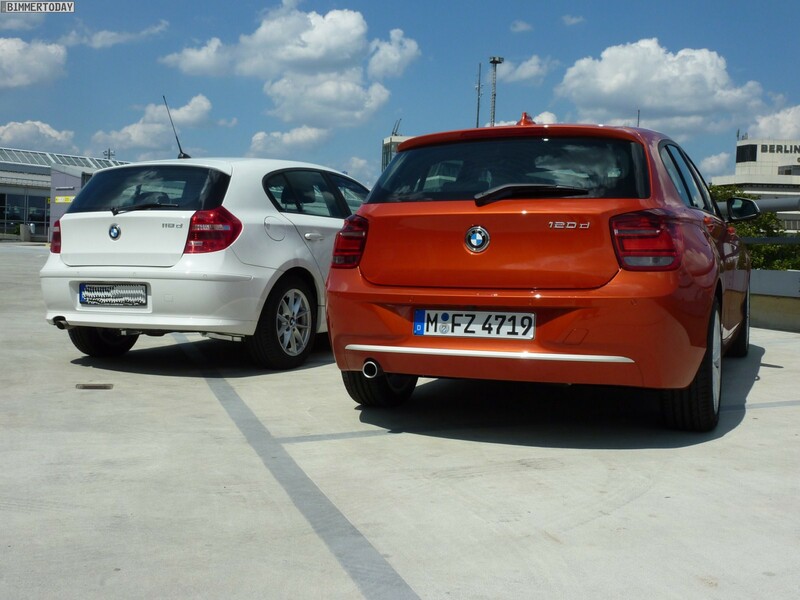 Those of you looking for a direct comparison against the VW Polo will have to wait a bit longer, no car was available on site to compare it against the new 1 Series.